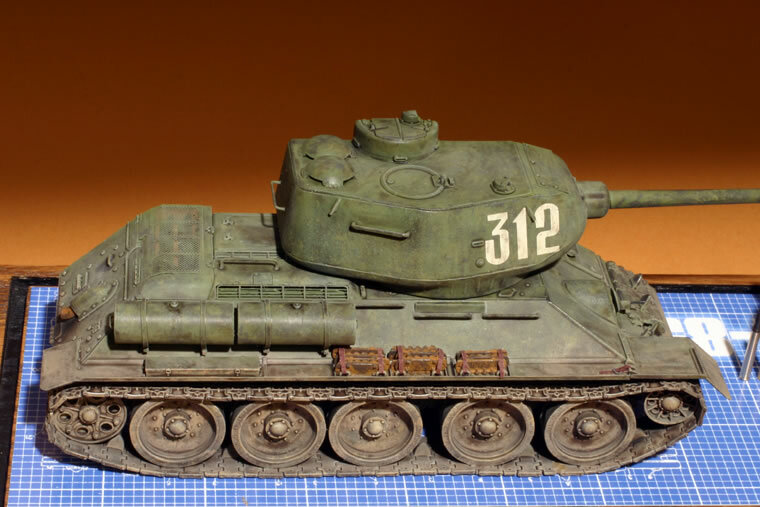 AFV Club has been releasing a series of "visible" T-34 with full interiors and clear hulls and turrets. This is an intriguing idea, but on looking over the kit, I wasn't sure that the resulting model would be particularly convincing or appealing. 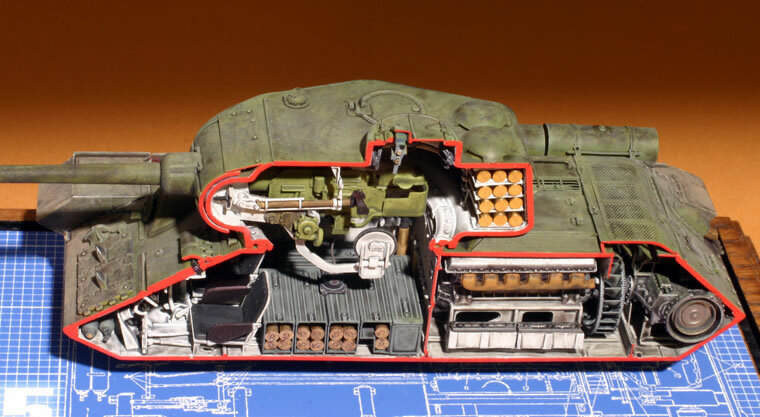 There is so much stuff along the T-34-85 interior sides that much of the interior would remain hidden. The rear engine deck comes in opaque grey plastic which leaves the engine area almost invisible. I had been thinking about ways to display models with interiors, and came up with the idea of slicing the model open along the center-line. This was partly inspired by the "cut-away" Centurion at the Tank Museum at Bovington. I decided against sawing the model dead center, as this creates all sorts of problems with the gun, engine, etc. Instead, I sawed it off center, using the edge of the gun mantlet as the aiming point. The advantage of this approach is that the gun assembly and engine remain mostly intact. The kit shows here is mostly out of the box with the obvious exception of the chopping. I used the excellent Hussar truned brass 85mm ammo, and the tank crewman is from Alpine with a Hornet head. Overall, a fun project which results in a very interesting display model.